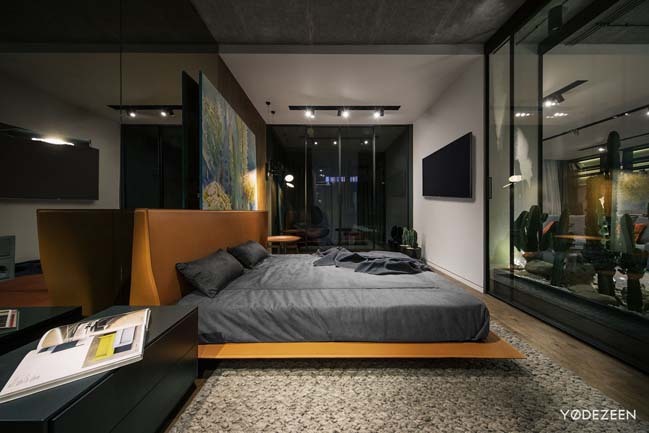 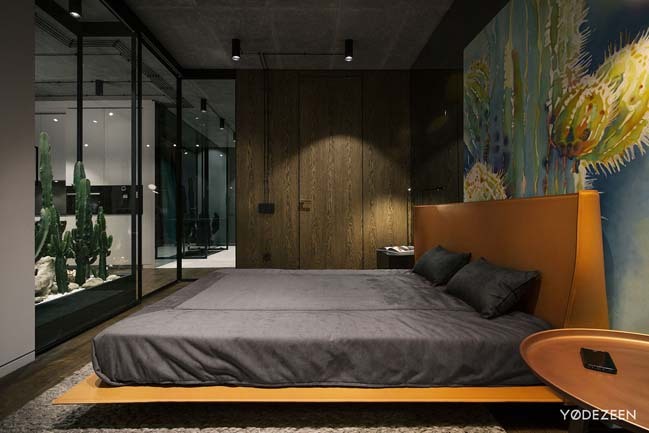 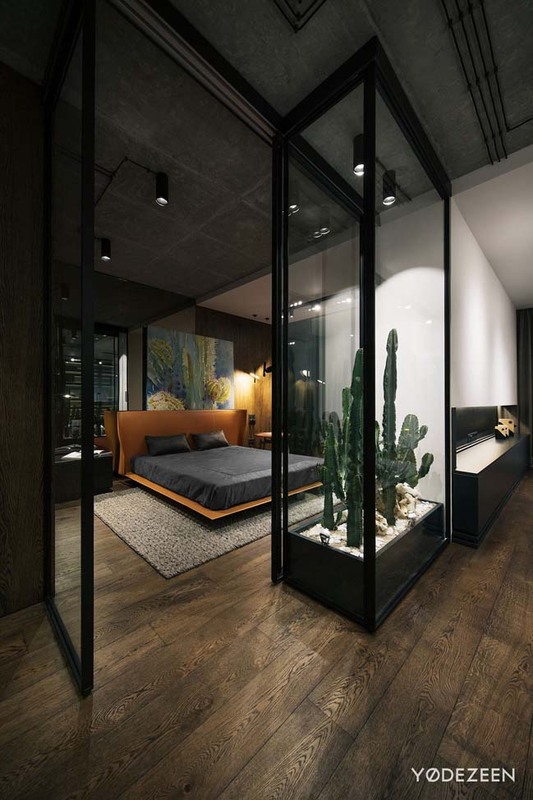 Desert Loft is a luxury 1-bedroom apartment by YØ DEZEEN that used a typical for desert color palette widely using different sandy colors to add some desert feeling to the space. 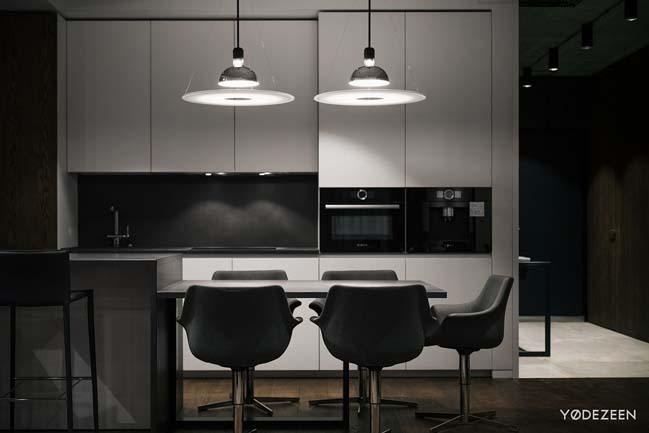 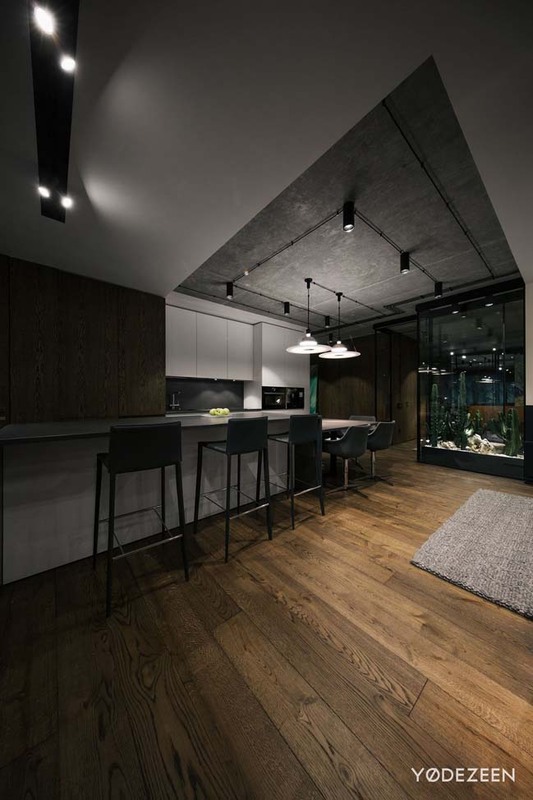 Follow the architects: When thinking of a typical loft, probably rather a cold and enough dark atmosphere comes to mind. 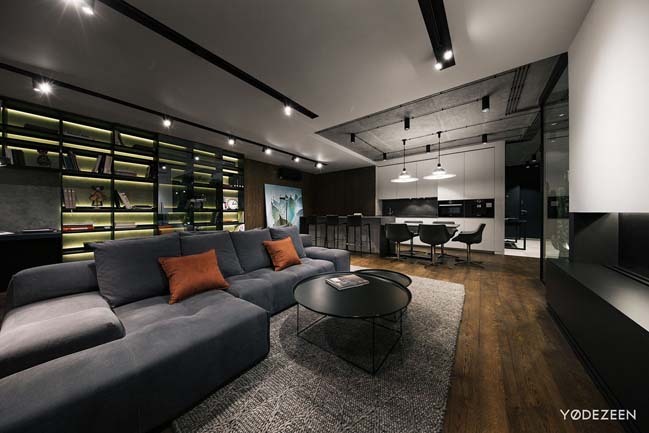 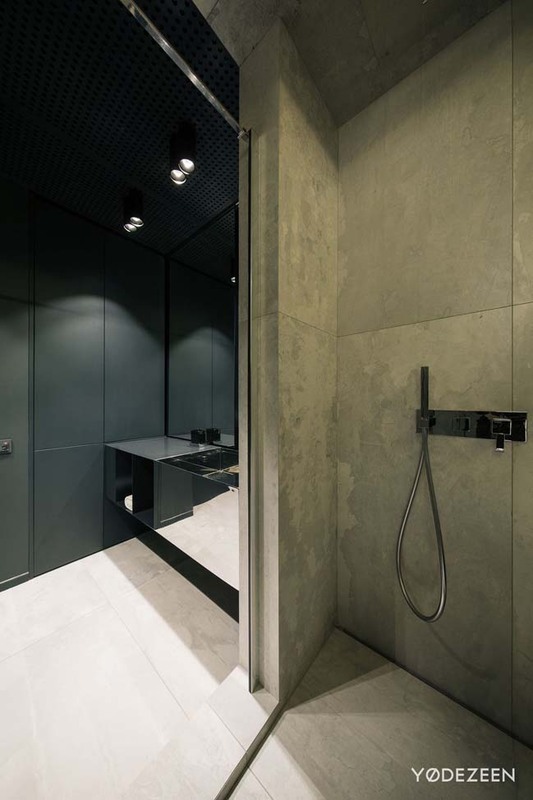 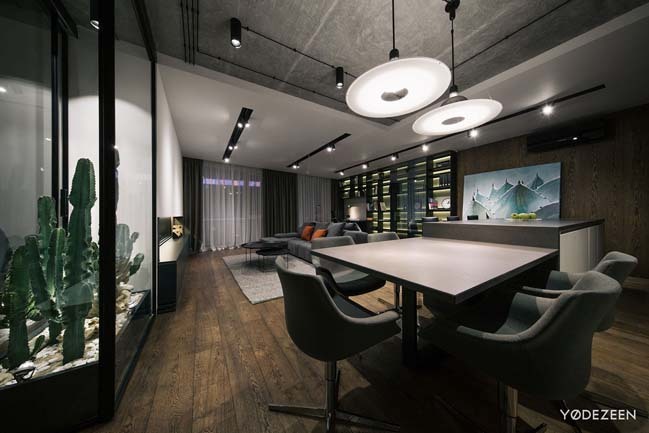 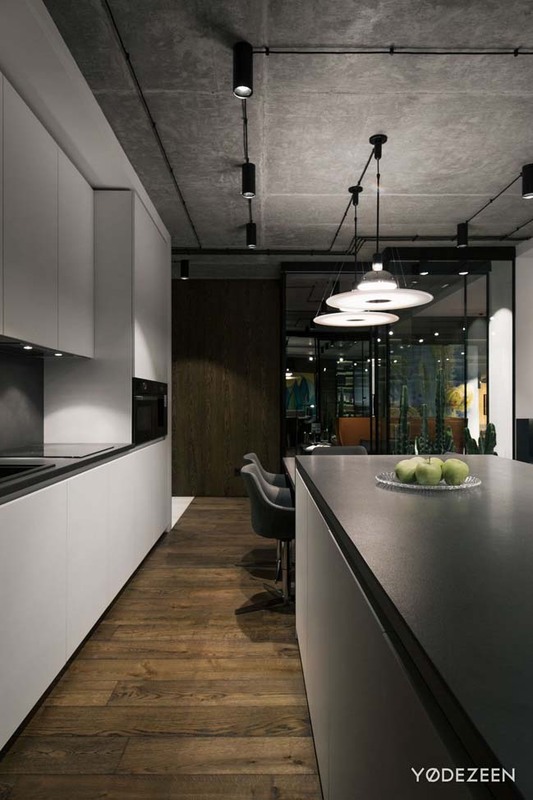 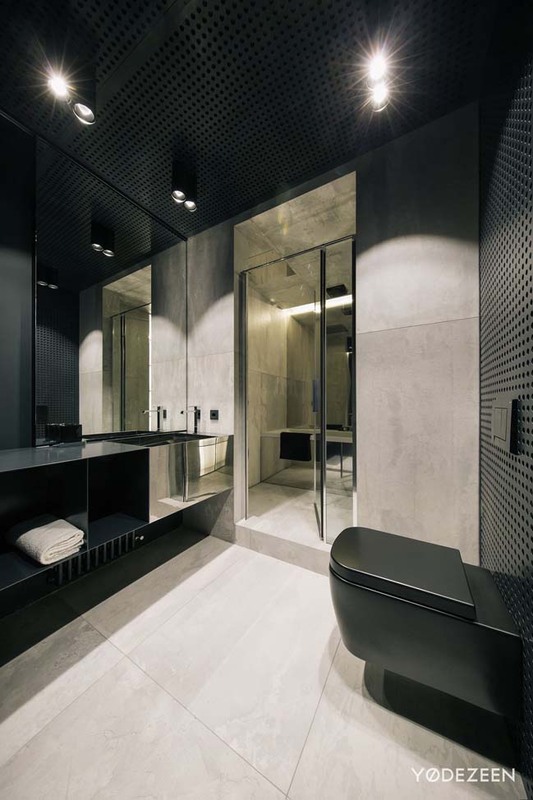 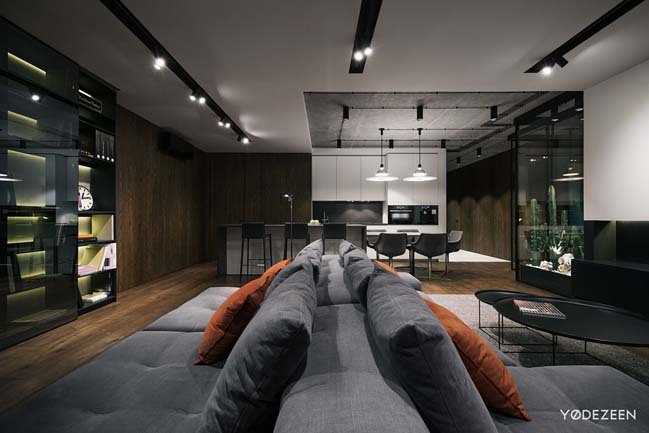 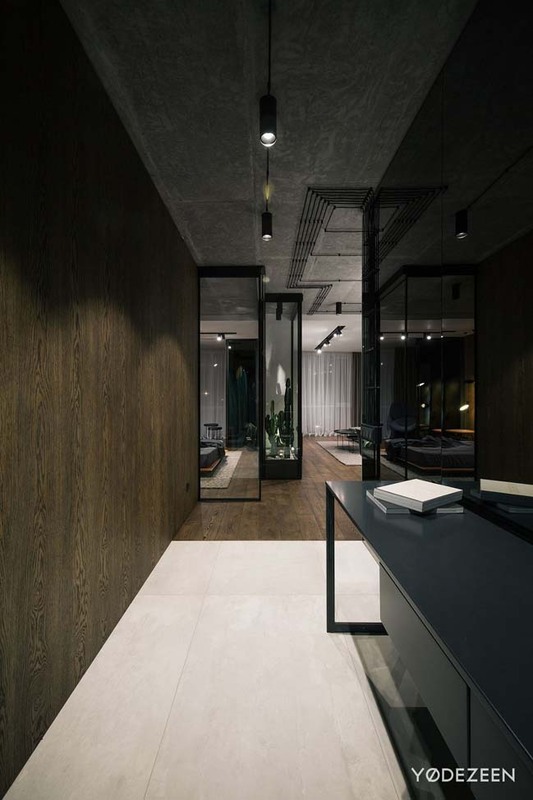 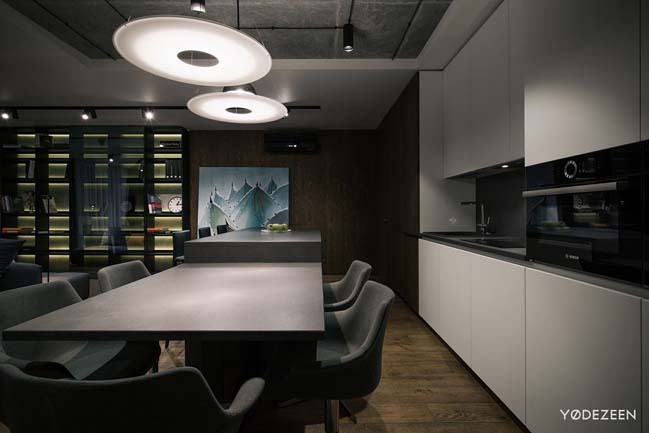 But in this case we have managed to create a rather warm atmosphere in terms of industrial-like space: exposed concrete surface on the ceiling, natural wood as one of basic finishing materials, functional furniture upholstered in raw leather, exposed wiring on the ceiling and track lighting. 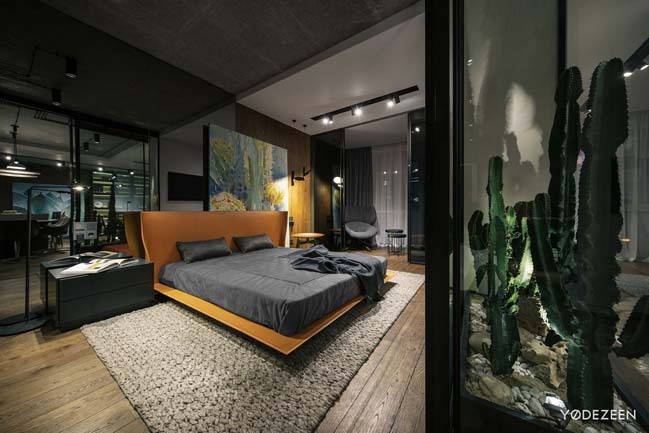 Our client’s addiction to rare cactuses that grow in Southern and Northern Americas has influenced the whole project. 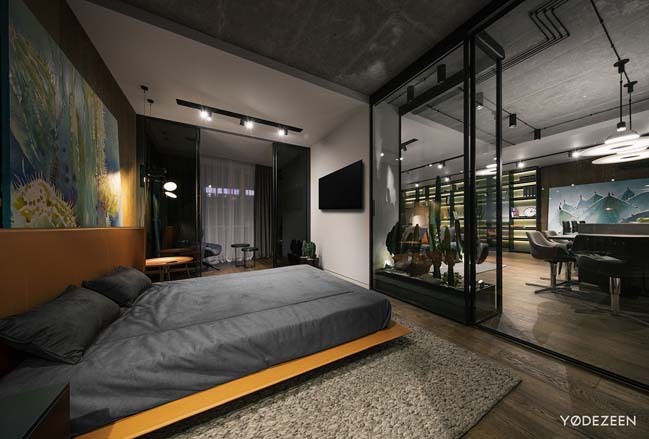 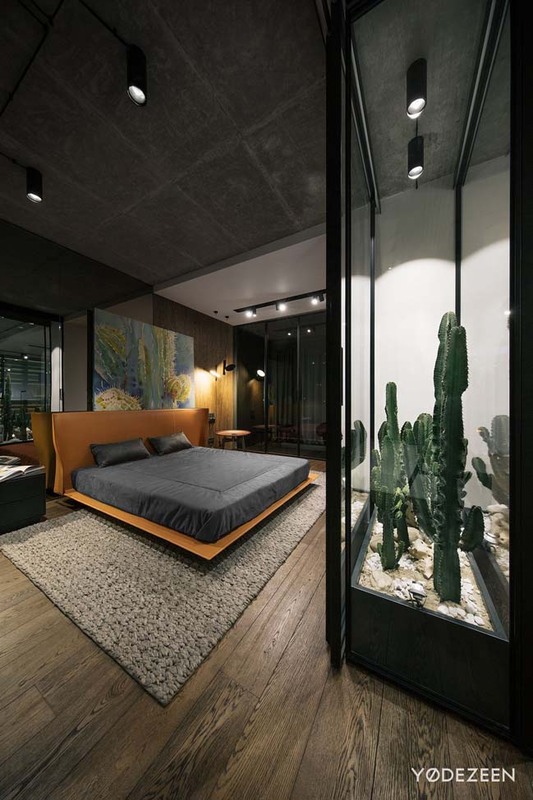 Thin high cactuses have been applied as the main decorative accent and placed behind a glass partition that separates the open-space area including kitchen, dining and living zones from the bedroom. 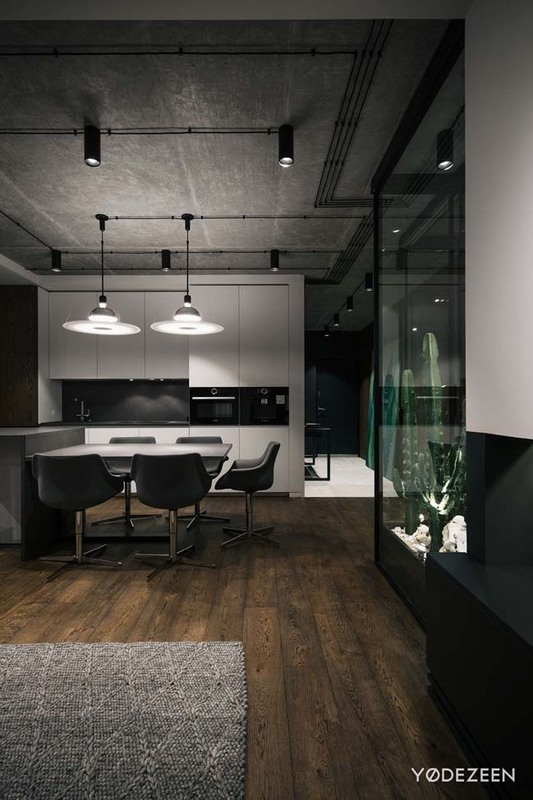 This rare plants are illuminated with spot lights built in the floor.